Our summer show is almost upon us and tyranny is alive and well. 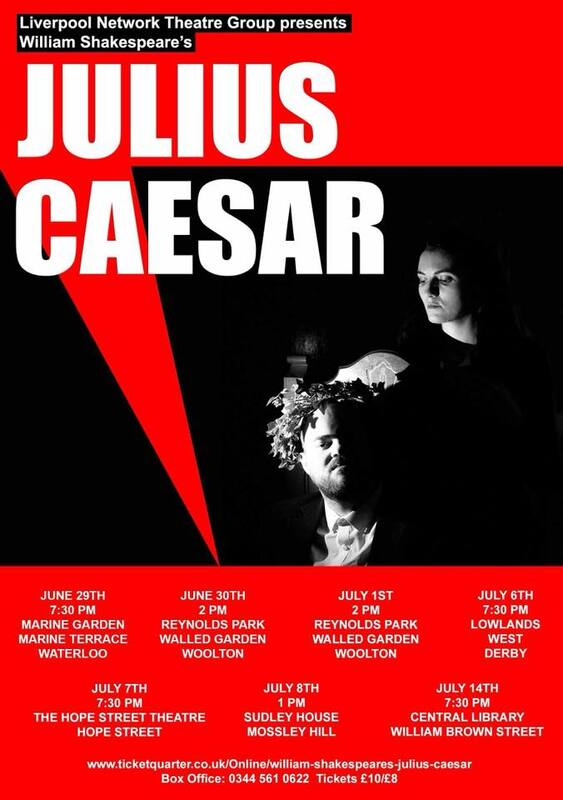 Shakespeare’s classic tale of conspiracy, tyranny and backstabbing will be on in various venues around Liverpool very soon. Ancient Rome is given a modern twist in this gender neutral production. Power is ripe for the taking and whispers and daggers alike lurk in the shadows. We are performing in some of the most beautiful indoor and outdoor venues Liverpool has to offer, so grab your picnic blanket and prepare to take in our ever popular summer show. The Ides of March are come, but not yet gone.